Born in London, Leo Phillips studied the violin both in Europe, with David Takeno and Sandor Vegh, and in the USA with Dorothy DeLay and Shmuel Ashkenasi. 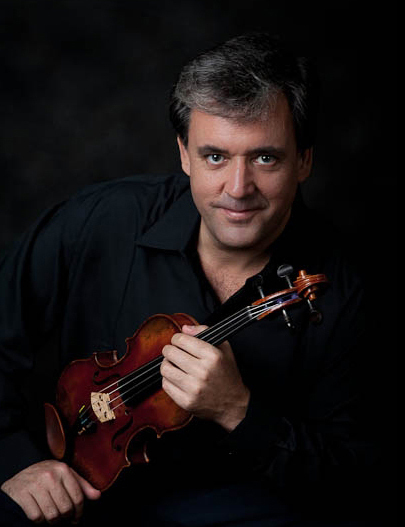 He has appeared as violin soloist with many orchestras including The London Philharmonic, Manchester Camerata, The Orchestre de Chambre de Genève and the National Symphony Orchestra of South Africa. A dedicated chamber musician, Leo was a founder member of the Vellinger String Quartet, and leader of the internationally regarded Nash Ensemble of London with whom he toured extensively and has made many critically acclaimed recordings and broadcasts. He is a regular participant at IMS Open Chamber Music, Prussia Cove, and has also recently appeared at the Australian Festival of Chamber Music, The Hong Kong International Chamber Music Festival, The Singapore International Festival of Music, The Nuremberg International Chamber Music Festival and the Akaroa International Chamber Music Festival (NZ). In 2018 he was appointed Director of Chamber Music for Premiere Performances, Hong Kong. Leo has appeared as Leader/Concertmaster and often Director of many world-renowned orchestras in over 60 countries world-wide. These include The London Philharmonic, The Hallé Orchestra, The Bournemouth Symphony Orchestra, The BBC National Orchestra of Wales, BBC Scottish Symphony Orchestra, BBC Philharmonic and The Ulster Orchestra, The Scottish Chamber Orchestra, East of England Orchestra, The Premiere Ensemble and The London Bach Orchestra, The Chamber Orchestra of Europe, Bergen Philharmonic, Stavanger Symphony Orchestra, Tenerife Symphony Orchestra, Orquestra Sinfónica Portuguesa, Orchestra Teatro Lirico di Cagliari, Heidelberg Kammerorchester, Nieuw Sinfonietta Amsterdam, The Hong Kong Philharmonic, The City Chamber Orchestra of Hong Kong, the Sichuan Symphony Orchestra (Chengdu), The Bangkok Symphony Orchestra, Pro Musica Bangkok and The National Symphony Orchestra of South Africa. In 2003, Leo was invited to conduct the Thailand premiere of Benjamin Britten's opera 'The Turn of the Screw' at the Thailand Cultural Centre. The opening night was graced with the attendance of H.R.H. Princess Galyani Vadhana, and also present was the then director of the Bayreuth Festspiele, Wolfgang Wagner. Subsequent to this much acclaimed debut, Leo has been performing regularly with The Bangkok Symphony Orchestra, The Thailand Philharmonic, The Siam Philharmonic, The Siam Chamber Orchestra, The Bangkok Wind Ensemble and, most recently, The Galyani Vadhana Institute Orchestra, of which, in 2011, he was appointed Principal Guest Conductor. Leo has also appeared with the Symphony Orchestra of India in Mumbai, the Chamber Music Society of Colombo, the Philippine Philharmonic Orchestra and has trained orchestras in Australia, New Zealand, Hong Kong and Singapore. Much in demand as a violin teacher and chamber music coach, Leo has given lessons and conducted master classes at The Royal Academy of Music, The Guildhall School, Chetham's School of Music, Silpakorn University, Bangkok, Princeton University, USA, the Academy of Performing Arts in Hong Kong, Sangokan Concert Hall (Toyotashi) Japan, the Universities of Auckland, Canterbury (Christchurch) and Otago (Dunedin) in New Zealand, for the Chamber Music Society of Colombo in Sri Lanka, and at the Yehudi Menuhin School. He has also been Artist in Residence at the Sydney Conservatorium, Australia, and the Nanyang Academy of Fine Arts, Singapore, and adjudicated competitions in Hong Kong, Indonesia and Thailand. In addition to his musical career, Leo studied improvisational comedy in Chicago with Del Close and Charna Halpern, co-wrote a full-length comedy screenplay: 'Vivaldi – The Movie', and was commissioned to devise the six-part documentary series 'Living Music' for Channel 4 television (1991). Articles of his have been published in The Daily Telegraph, 'Art' magazine and 'Autocar', and his photographic portraits of Dame Iris Murdoch have been displayed in Britain's National Portrait Gallery. A keen contract bridge player, Leo is proud to have played in the UK at county level representing Oxfordshire.